Give someone you love a special Caribbean treat. Surprise him or her with a Gif Card from Sams247.com. 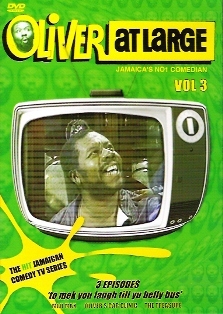 This is one of Usain Bolt's secret weapons. 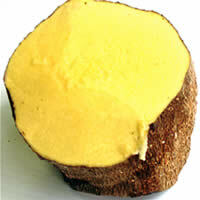 Enjoy Jamaican yellow yam boiled, fried, or as a compliment to your beef or chicken soup. This starch tuber will keep you going, and going. Sold by the pound. 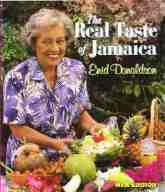 A valuable collection of traditional and contemporary Jamaican recipes, accompanied by beautiful color photographs. This wonderful product is enhanced by the additional hair and skin benefits that pure and natural lavender essential oil possesses. Lavender has a long reputation for its pleasant uplifting scent, its healing effect on the skin and its ability to nourish the hair and scalp. This package rocks! The Tropic Isle Living Power System 6 contains some of the most powerful hair products on the planet. We've added a GENEROUS DISCOUNT to make the package even more attractive. NEW! NEW! Tropic Isle Living’s STRONG ROOTS Red Pimento Hair Growth Oil; Ingredients: Jamaican Red Pimento Oil, Jamaican Black Castor Oil, Wheat germ, Organic Coconut oil, Glycerine, Lavender and lemon oils. Walkerswood Escoveitch Sauce is traditionally poured over fried fish. It can be blended with oil to make a tangy chicken or seafood marinade. Contains mildly sweet sauce which is used as the perfect accent to a summer barbecue. Its natural sweetness from bananas and brown sugar, and its mildly spicy kick from a touch of hot peppers and Jamaican jerk seasonings.